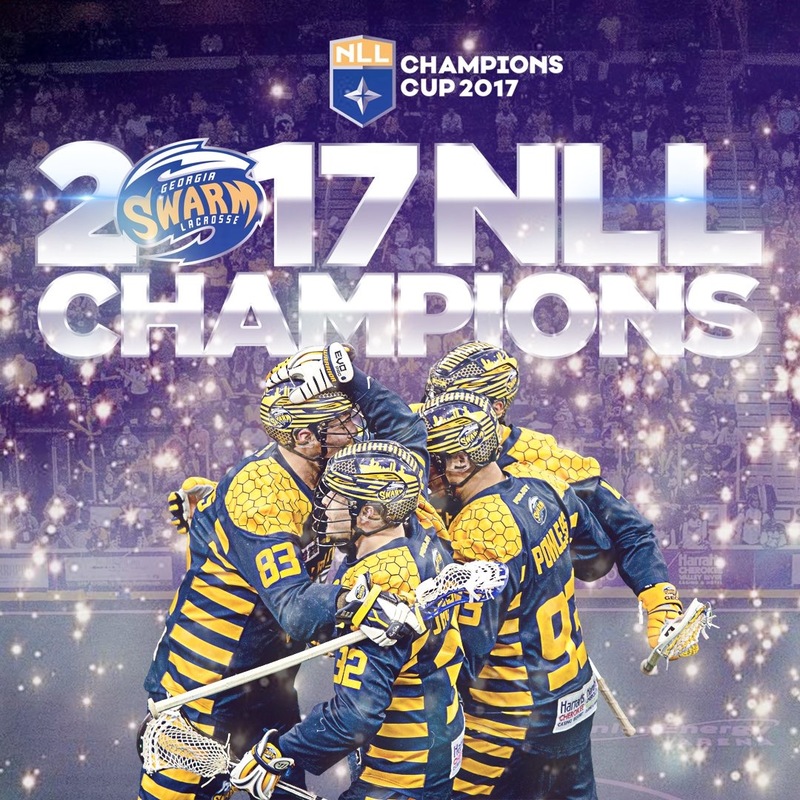 Okay, maybe indoor (or box lacrosse) isn’t a major sport but at least the Georgia Swarm held onto their lead to win a championship. Miles Thompson scored the game-winner, taking a one-handed pass from brother Lyle Thompson after he drew a defensive double-team and whipping a shot past Rush goalie Aaron Bold under two minutes into overtime for a 15-14 win. Adam Jones put the Rush up 14-13 late in the fourth quarter. With 42 seconds remaining, the Swarm pulled goalie Mike Poulin for an extra attacker. The Rush regained possession and pulled Bold, hoping an extra man would help them keep the ball but the decision came back to haunt Saskatchewan in front of over 14,000 Rush fans. 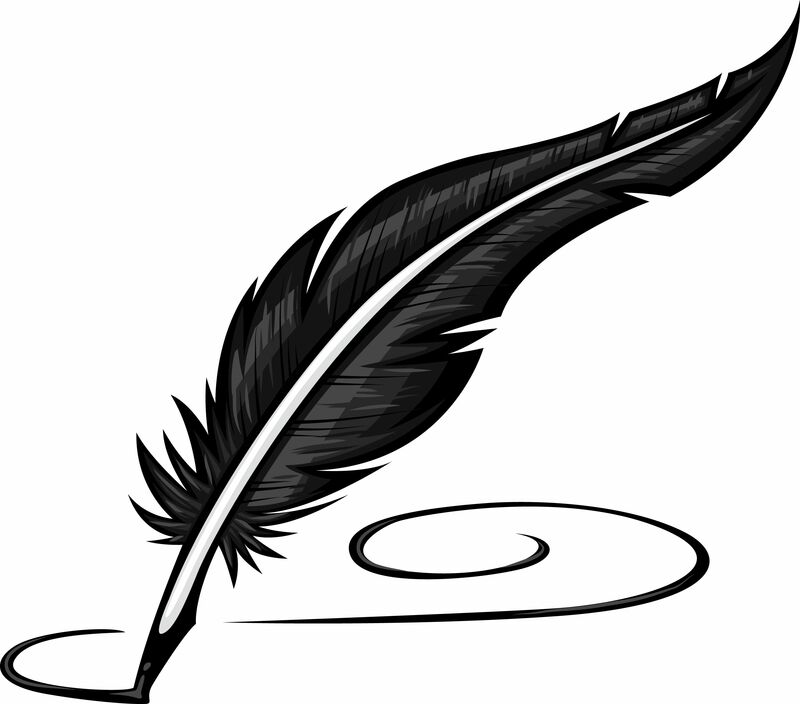 The Swarm took possession on a errant pass. Joel White passed to Lyle for the winning attempt and then rebounded Lyle’s miss for the game-tying goal with three seconds left. NLL commissioner Nick Sakiewicz announced postgame that Lyle Thompson was voted Champion’s Cup MVP. Thompson scored 12 points in two games. The Swarm won Game One 18-14 on June 4th in Duluth, Georgia. They finished the season at 17-5. 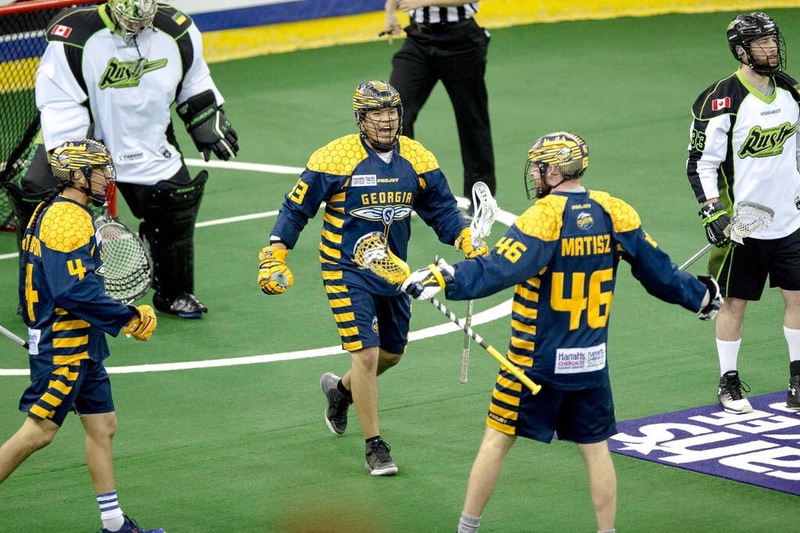 The franchise, which was in its second season in Atlanta, was founded as the Minnesota Swarm, playing in St. Paul from 2004-2015. It’s the team’s first title in 13 years.